The big Westwood Little Holmby traditional at 10440 Wyton Dr. LA CA 90024 lasted 26 days this time around on the market. 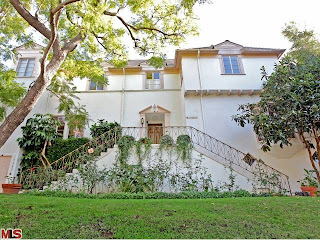 The home was listed on 12/4/09 for $2,995,000 and had no price reductions during the current listing term. Previously, the home was listed back in the beginning of 2009 for $3.895 and spent 225 days on the market with one $200k+ price reduction. When the house returned to market this time, it was priced much better compared to recent comps that have sold on Loring. 10440 Wyton Dr closed on 3/9/10 for $2,900,000. According to the MLS, the home is a 6 bedroom / 5.5 bath, 4,555 sq ft of living space on a 15,899 sq ft lot.